We provide a meal planner that recommends recipes, not the actual meal itself or ingredients necessary to prepare the food. The major benefit of using our personalized plans is that every recipe is specifically configured for your macro/calorie requirements and ingredient preferences. 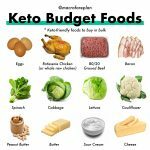 While you could use something like a Keto cookbook, you will need to calculate the correct serving sizes for each recipe in order to achieve the results you want. This is a lot more calories than I'm used to eating, is this right? It’s important to know that not all calories are built the same. A single gram of fat provides 9 calories of energy whereas a gram of carbs or protein only provides 4 calories. So yes, it may sound like a much higher calorie value than you’re used but it’s more about eating right instead of eating less. Can I dine out while following my recipes? It’s perfectly fine to dine out without restrictions. Simply resume you plan wherever you left off. For example: If you were to go on vacation on Friday, it would be fine to eat out the entire weekend and jump back in on Monday. 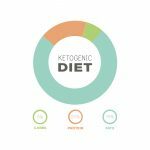 It may take a few days for your body to get back into ketosis but flexibility is one of the great benefits of macro dieting. What type of beverages can I have while following my plan? Some alternatives to water could be: Sparkling Water, Seltzer, and Club Soda, Coffee and Tea, Diet Soda, and Juice Alternatives (Sugar-Free, Zero Calorie). We would recommend limiting drinks with higher amounts of sugars and carbs. This also goes the same for alcoholic beverages. Can I eat fruit while following my plan? We exclude fruit because, in most cases, it can cause an immediate spike in blood sugar. 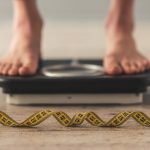 This would immediately halt the fat burning – everything we’re trying to avoid on keto. If you do find yourself wanting some fruit, please opt for low glycemic options. Can you provide me with examples of my plan before I purchase? Unfortunately, we are not able to provide examples as every plan is personalized and based on answers from the quiz. If you receive your plan and see recipes you do not like, simply contact us and we will do our best to accommodate you. We currently accept major credit/debit cards at this time. We apologize for any inconvenience this may cause. We can assure you that all payments are 100% safe and secure. Is this a subscription? Will I get charged monthly? There is no subscription billing or hidden fees. You will only be charged a one-time payment for lifetime access to your plan.